Sure, it’s got elegance and grace but the most luxurious offering in a beyond-luxurious experience at the Windsor Court Hotel is the silence. Geographically, it is located a few blocks from the French Quarter but it doesn't seem possible that this serene alcove exists in the same world as Bourbon Street. 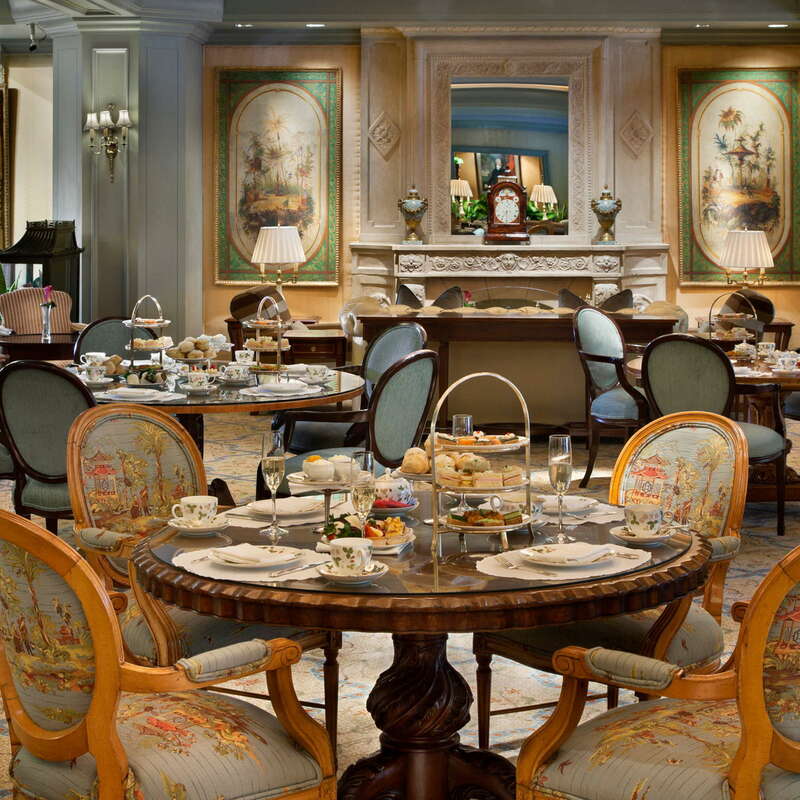 The ornate decor (British 19th-century antiques, furniture, and artwork) is courtesy of the hotel's original anglophile owner, and would be over-the-top if it wasn't so consistent. A full gym, heated outdoor pool, high tea service, and world class martinis all add to a decadent and worthwhile experience at this property. 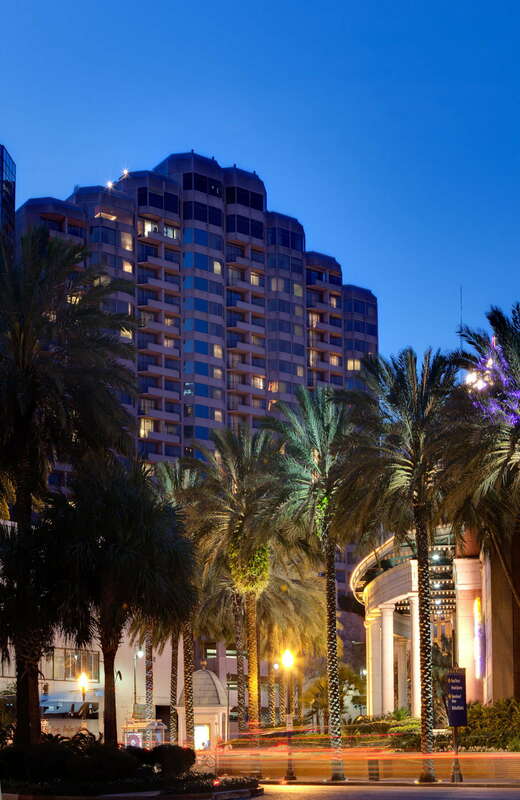 YOU SHOULD KNOW Consistent standards mean the Windsor Court has regulars: during Mardi Gras and other festival seasons, rooms will fill up with Windsor Court regulars who book travel far ahead of time to make sure they get to stay at their favorite hotel. 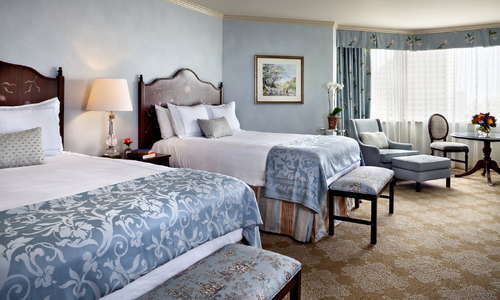 Most rooms are suites, which is why the hotel attracts both families and larger groups like film crews. Standard rooms are comfortable, with quality furniture and plenty of space. The suites are all multi-roomed and include ample seating areas, writing desks, and large windows (with blackout curtains in the bedrooms). Some suites also have private balconies. Rooms on the Club Level (the top four floors) receive access to the Club Lounge, a private living room area with its own concierge, serving complimentary continental breakfast, afternoon tea, and evening cocktails and hors d'oeuvres. 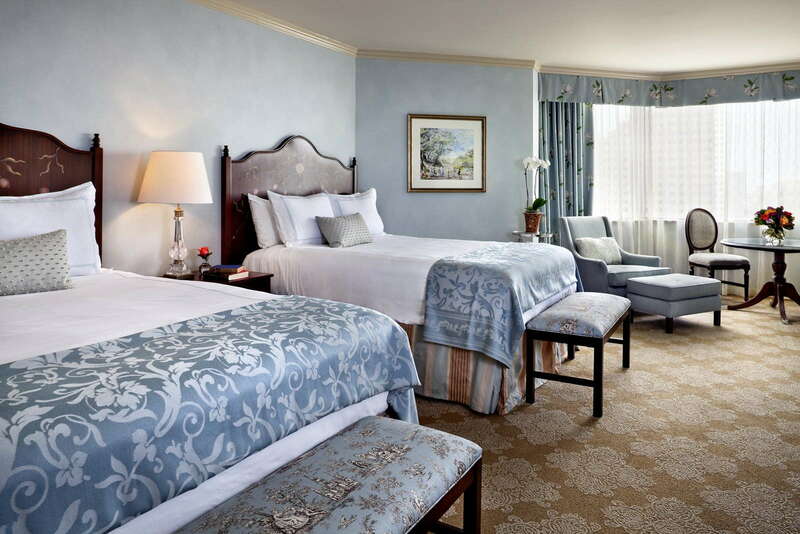 Standard rooms include marble bathtubs, and suite bathrooms have large dressing areas with multiple floor length mirrors and full vanity set ups. Done up like a British parlor, the lobby is pleasant and peaceful, arranged in many small living areas with overstuffed armchairs, sofas, and coffee tables. It's a good place to get work done without being bothered, have a meeting, or read the paper, while enjoying coffee and a macaron from the adjacent Cafe Anglais. 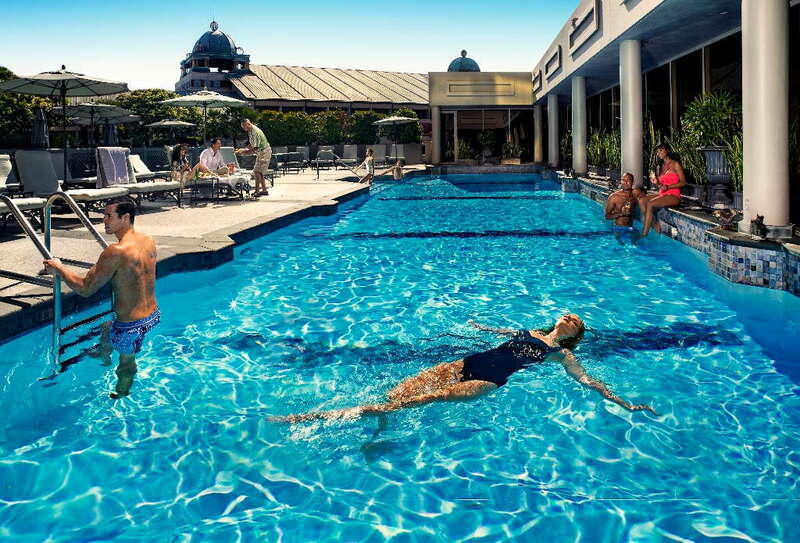 The 65-foot saltwater pool is heated during winter months (whenever those are), and is located on the Windsor Court rooftop. Light fare and cocktails are served poolside on the large deck, and a state-of-the-art gym overlooks the pool on the other side. Pool hours are from 6 a.m. to 10 p.m.
A spacious gym with cardio machines and weight training equipment overlooks the pool, and even offers private fitness classes and guided group runs through the city. Make an appointment at the spa, replete with a sauna and steam room, to really round out your luxury stay. 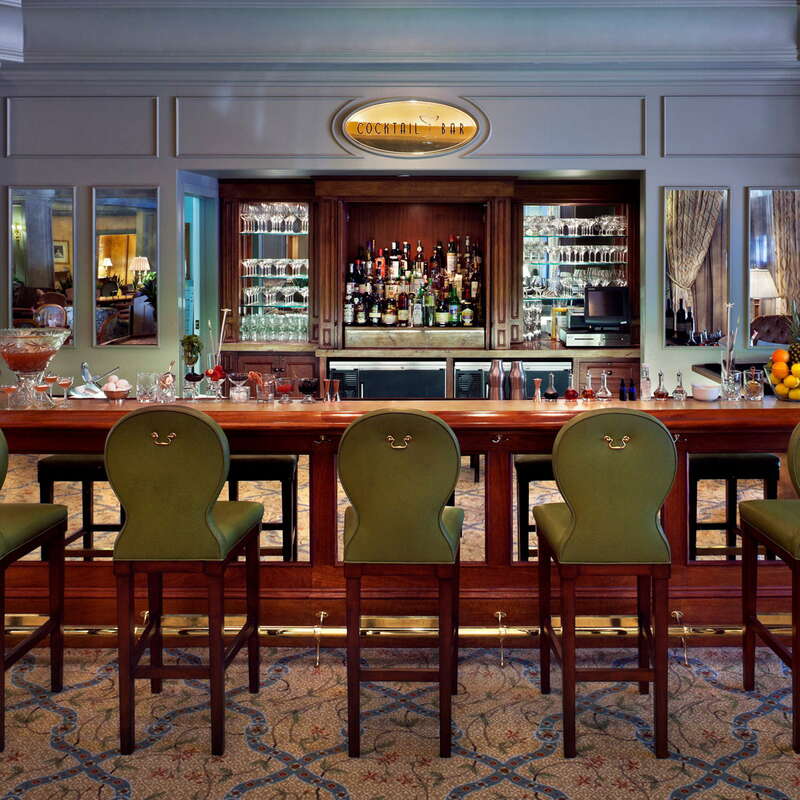 The Grill Room offers refined American comfort food, with specials like a Sunday Jazz brunch and a $2 martini lunch. 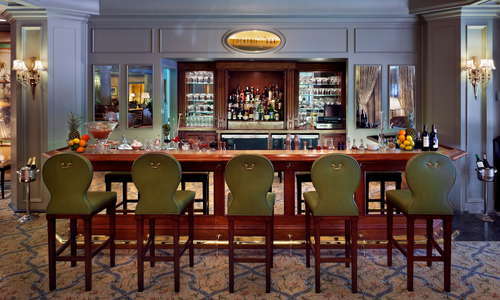 The Polo Lounge serves elevated bar fare with tasty renditions of fish and chips and a pub burger. 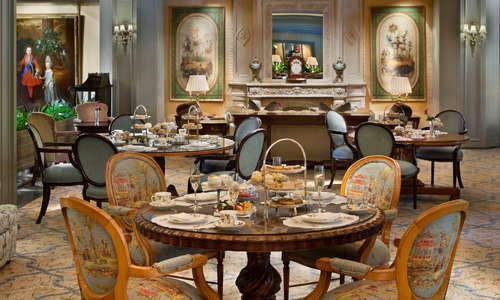 The Cocktail Lounge at lobby level offers small plates and dessert, and in Le Salon, guests can enjoy a traditional English tea service on Friday, Saturday, and Sunday afternoons. Room service is available 24 hours. YOU SHOULD KNOW Food and service are excellent throughout the hotel, but expect to pay luxury hotel prices. There’s a sommelier in house, and the Grill Room wine list goes above and beyond. The Polo Club and The Cocktail Lounge both serve delicious classic cocktails, and include live jazz many nights of the week. It's a block and a half to Canal Street, where you can catch the Canal Streetcar to go toward Mid City, City Park, and the cemeteries. Take the Canal Street Ferry (5-minute walk) on the short trip to Algiers Point and explore this adorable across-river neighborhood. 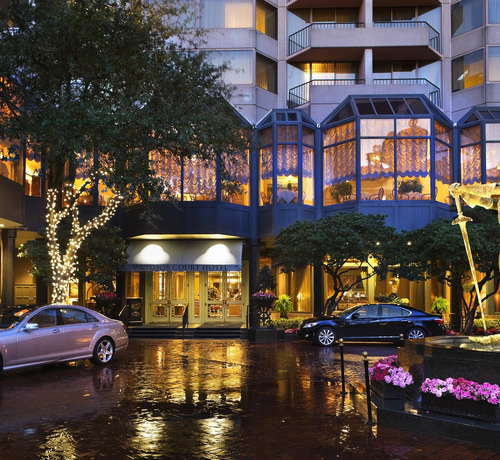 It's easy to catch a cab or call an Uber to the hotel's private driveway. Exploring the city's best culinary options is easy from the Windsor, and there are a few solid choices just a stone's throw away: Mother's (2-minute walk) for po' boys, August (1-minute walk) for gourmet French and 5-star treatment, or Compere Lapin (3-minute walk) for creative, high-end Caribbean dishes. If you're exploring Algiers Point across the river, Old Point Bar is an excellent way to get a feel for the neighborhood while overlooking the river and often enjoying live music, and Crown & Anchor is a hip British-style pub that hosts food pop-ups (about a 10-minute walk and ferry trip). Walking down Tchoupitoulas Street from the hotel, you'll find Barcadia, a game-themed bar, W.I.N.O, a modern vinoteca, and Revelator, an excellent coffee shop for the next morning (all on the same block, 4-minute walk from the hotel). 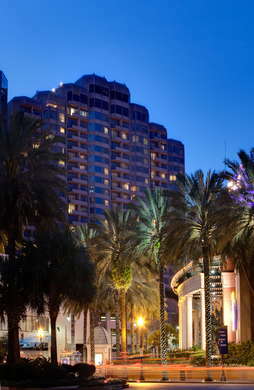 You can easily enjoy all the Big Easy has to offer during the day, and escape to a luxurious resort at night. The decor doesn't immediately make you think New Orleans, but the live local jazz, congenial staff and guests, and general vibe all feel authentic to the city, and having a quiet retreat—especially one as nice as the Windsor−after a day or night out on-the-town isn't such a bad thing. $$ &middot; 915 Royal St.
$$ &middot; 1225 St. Charles Ave.